Is it possible to add an image on top of submission PDF? I hope that it is possible to put an image on the top of PDF, but please let me just understand: can't I customize the PDF with an image on the top of the PDF without having issue with the fields sizes!? 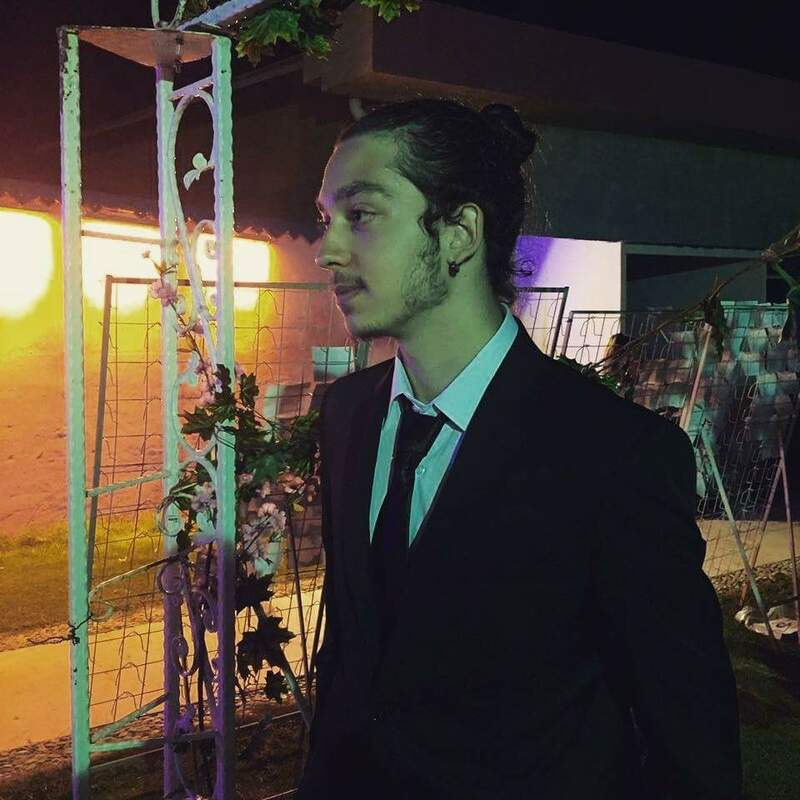 May I know what image you would like to add? I assume you are referring to the form titled "Modulo d'ordine - Fitocosmo - PROVA"? 1. In the submissions page, to show or display the images and other text, I enable this option. 2. 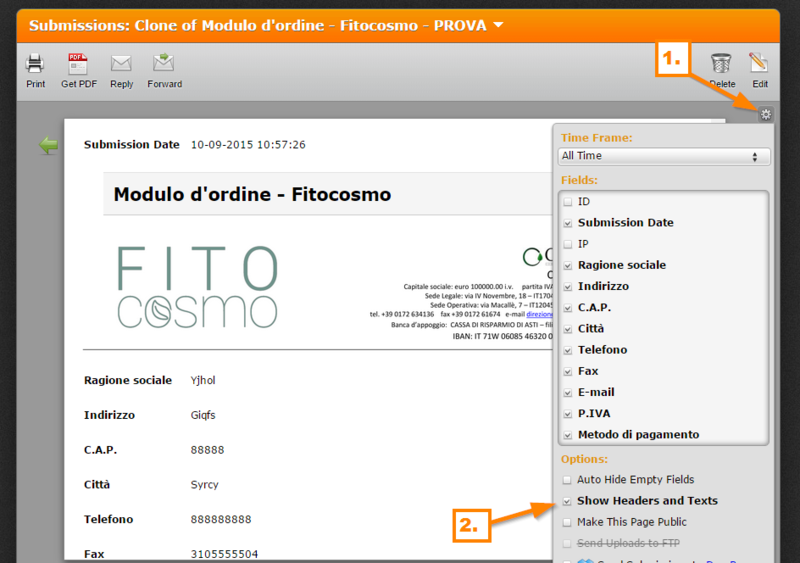 In the Customized PDF Designer, you'll be able to see the logo/image of your form, I just then drag and position it at the top. 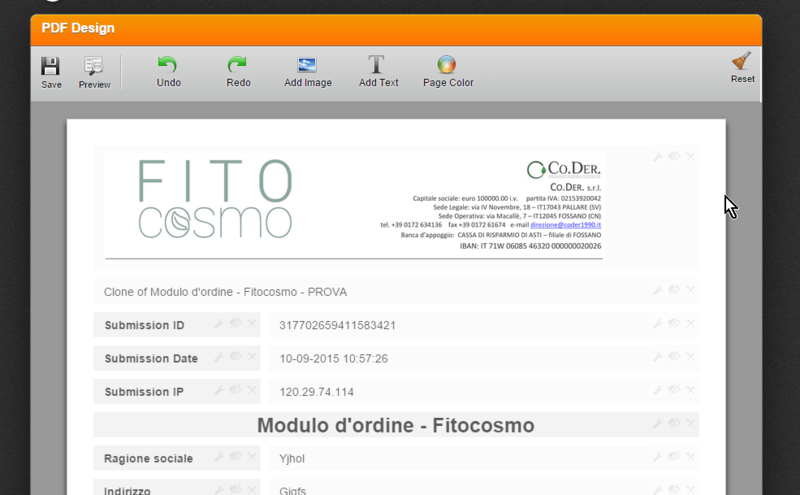 I was referring to Buono d'ordine FITOCOSMO and, if I flag the option "Show Headers and Texts" it will show also some "red texts" down on the form that I want to show just according to some conditions that I have made during the process of creation of my form. Please refer also to the original post of this question. I presume you have already resolved the concern regarding the conditionally shown text using the workaround that my colleague mentioned in the earlier post. In this thread, you were referring to how to add an image at the top of the PDF submission? 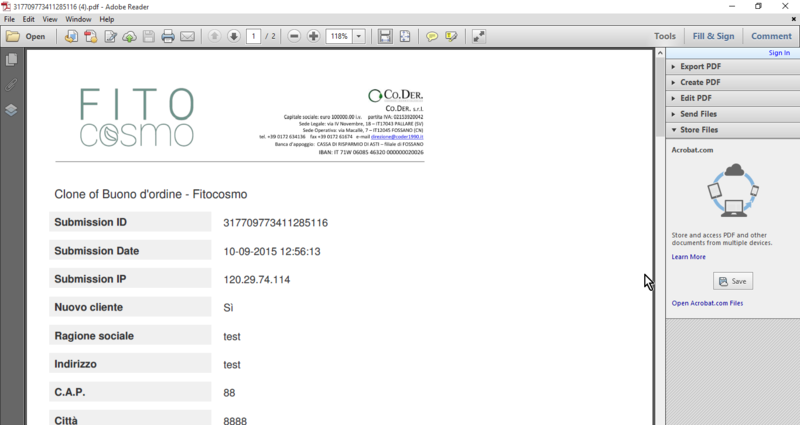 I pasted this link: http://www.jotform.com/uploads/gunela88/form_files/intestazione_ordine.png in the "Add Image" option. If there are some fields that was resized, you might need to adjust the positions of the field. Let us know if this is what you are looking for, and if you encounter any issues.